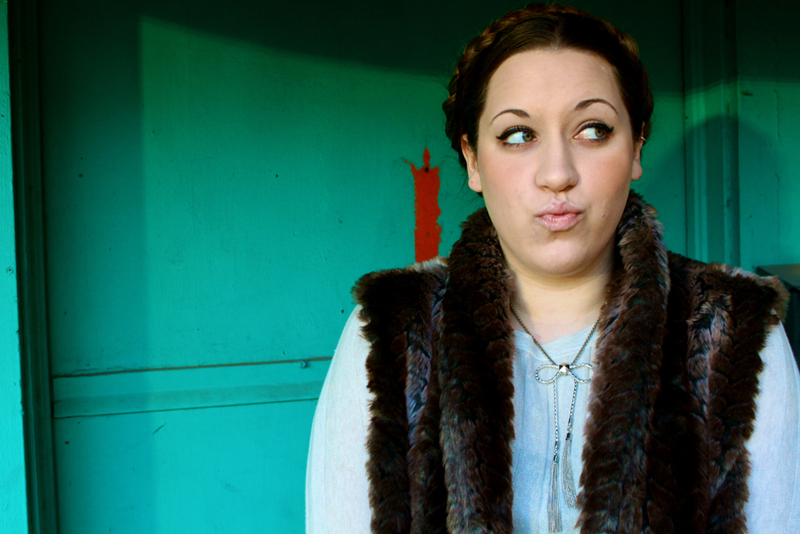 What better occasion to bring back the blue door than THIS VESTY VEST. 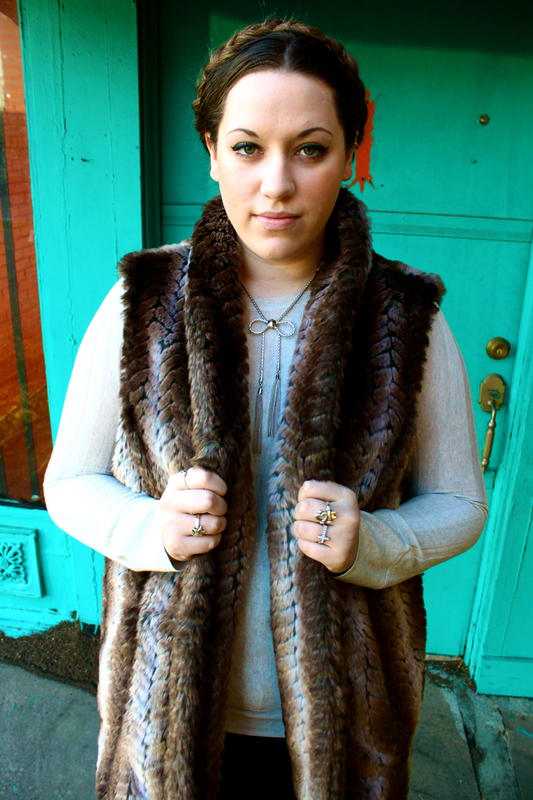 I have been on a Macklemore thrift shop hunt for a fur vest forrrrrrever now. And as my friends know, thrift stores are just not my thing. It brings out all of my annoying pre OCD tendencies: they are super unorganized, they are typically dirty, they contain clothing worn by all sorts of characters with all sorts of lives and all sorts of germs, and they contain lots of strange smells. 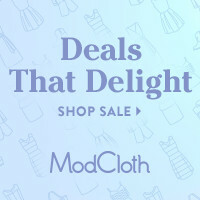 With that being said, besides the unique clothing, I've never felt the dire need to go thrifting, because I find unbelievable deals amongst the regular retail. In fact, I live for a good clearance rack as about 85% of my closet is red lined. 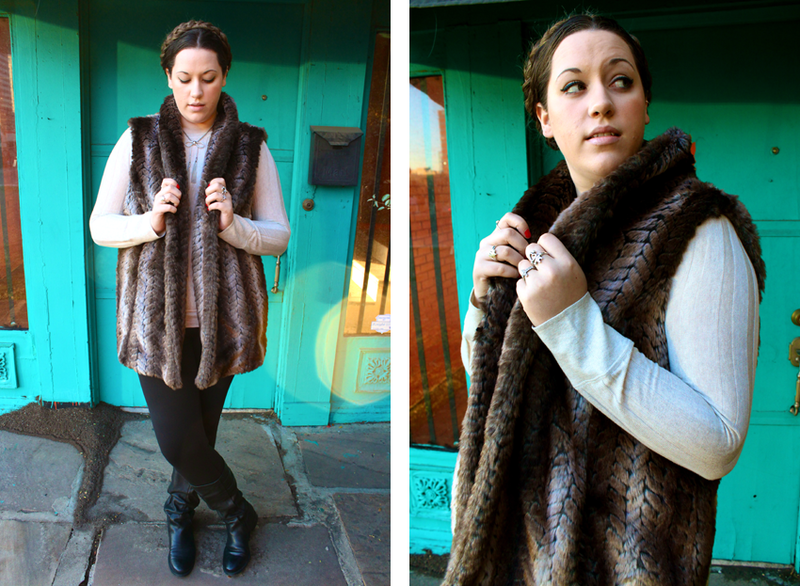 This ridiculously fab vest fell into my hands via the massive Jcp clearance rack this weekend. Normally $55, it was marked down to $30. I went back and forth on whether or not to buy it or eat food during the week etc. etc. the usual. So I bite the bullet and low and behold it rings up for THIRTEEN DOLLARS! Like, what?! Excuse me? No. That's practically stealing. So for anyone hatin on the still struggling Jcpennys, I swear that if they go out of business, I will find you. And rub this fur vest in your smug faces. This week is going to be a killer for me. Just thinking about it makes me want to curl up in bed and live stream the new JT album all day (see: What Madison Did Today Instead of Her Homework). So this vest served as my fashionable security stuffed animal. 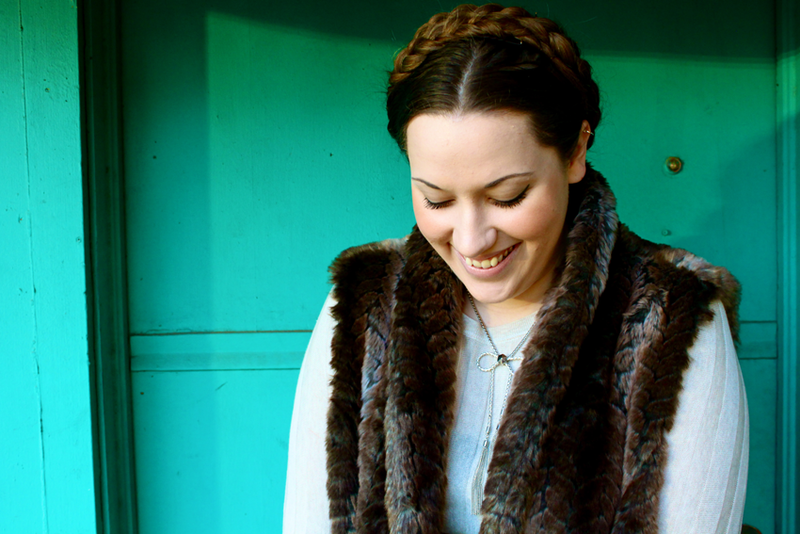 People look at you less weird when you're hugging yourself while wearing fur. And a little crown made of braids never hurt a girl.